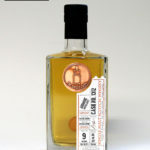 This entry was posted in Other Whisky News, Whisky Tastings and Events News and tagged festival, Nosing, Nosing and Tasting, Tasting on 17 December 2010 by Mike. Maltstock is a non-commercial, unique and relaxed whisky weekend. It's gathering for all whisky clubs and whisky enthusiasts in the world. Everybody is welcome at Maltstock! A weekend of relaxed whisky fun for everyone! Organized by and for whisky enthusiasts. This entry was posted in Uncategorized and tagged Chivas, Dufftown, Nosing, Tasting on 9 September 2009 by Mike. Dufftown 2000 hold a Nosing and Tasting Programme every summer. Julian Holder will take you through a selection of the whiskies available from Chivas Brothers. This entry was posted in Uncategorized and tagged Adelphi, Dufftown, Nosing, Tasting on 26 August 2009 by Mike. Dufftown 2000 hold a Nosing and Tasting Programme every summer. Atonia Bruce will take you through a selection of the whiskies available from Adelphi. This entry was posted in Uncategorized and tagged Balvenie, Dufftown, Nosing, Tasting on 19 August 2009 by Mike. Dufftown 2000 hold a Nosing and Tasting Programme every summer. Brian Robinson will take you through a selection of the whiskies available from Balvenie Distillery. This entry was posted in Uncategorized and tagged Dufftown, Inver House, Nosing, Tasting on 12 August 2009 by Mike. This entry was posted in Uncategorized and tagged Dufftown, Glenfarclas, Nosing, Nosing and Tasting, Tasting on 5 August 2009 by Mike. Dufftown 2000 hold a Nosing and Tasting Programme every summer. Robert Ransom will take you through a selection of the whiskies available from Glenfarclas Distillery. This entry was posted in Uncategorized and tagged Dufftown, Glenmorangie, Nosing, Tasting on 29 July 2009 by Mike. Dufftown 2000 hold a Nosing and Tasting Programme every summer. Martin Grant will take you through a selection of the whiskies available from Glenmorangie. This entry was posted in Uncategorized and tagged Dufftown, Glenfarclas, Nosing, Tasting, Whisky on 22 July 2009 by Mike. Dufftown 2000 hold a Nosing and Tasting Programme every summer. Ian McWilliam will take you through a selection of the whiskies available from Glenfarclas Distillery.